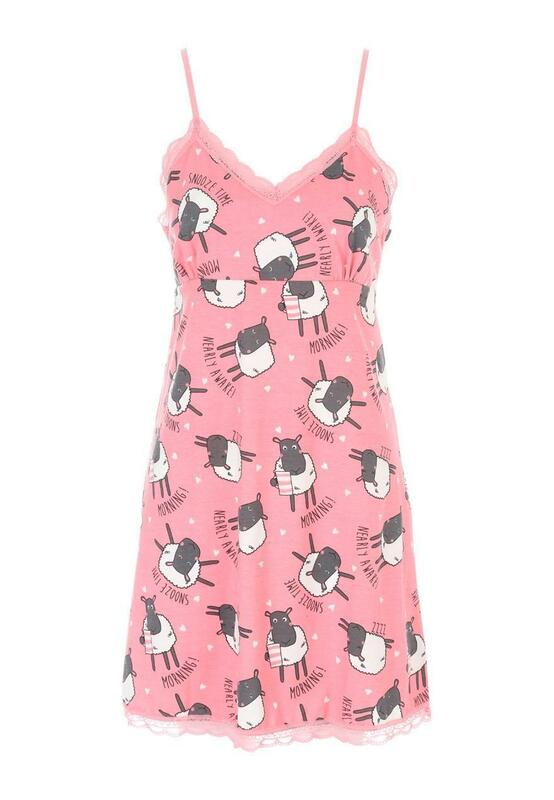 Make a fun addition to your collection of nightwear essentials with this women's pale pink printed chemise. 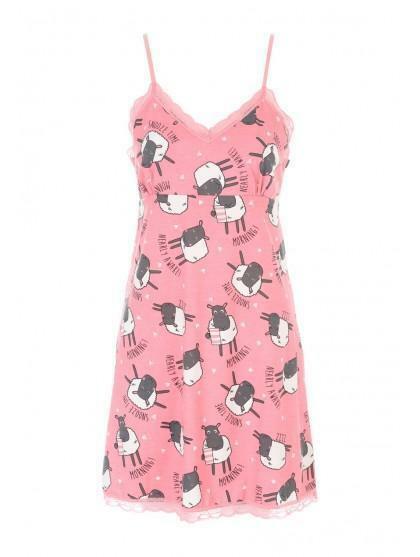 With a lace trim neckline and hem, adjustable straps and an all over sheep print, this chemise is a cute and colourful option for bedtimes. A lovely summer top, which looks and feels great, because it is not tight fitting and flows freely for comfort. Having only tried on again in the last day, I think the shoulder straps are a little loose, so these will need to be shortened for my liking.